Toowoomba Prostate Group Supports Local Hospice! Home / Events / Toowoomba Prostate Group Supports Local Hospice! 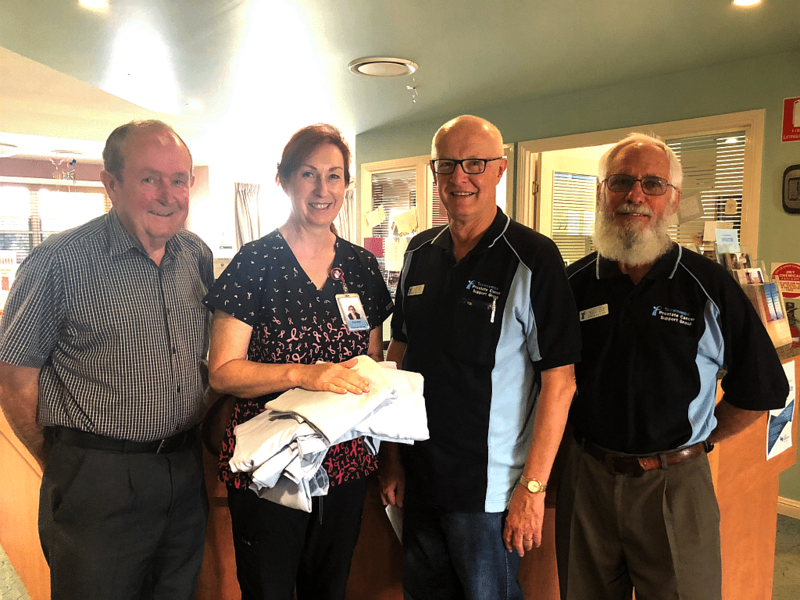 News travels fast…Toowoomba Hospice was delighted to receive their new bed linen from the Toowoomba Prostate Cancer Support Group who heard they had received 6 new beds recently. The Toowoomba Prostate Cancer Support Group meets at St Anthony’s Community Centre 3 Memory Street, Harristown on the third Tuesday of the month, 5.30pm for 6.00pm meeting. The Group’s aims are to help each other, discuss shared experiences and learn more about the disease and how to manage it. When handing over their donation, Mr Paul Lucas – Convener of the Toowoomba Prostate Cancer Support Group said “Presently one of our members is a client of this wonderful facility so it is only fitting that we make this further donation to assist with the purchase. We are sure that the new linen will be of immense benefit to the Clients of the Hospice”. The Toowoomba Hospice is in O’Quinn Street, Harristown and provides palliative and respite care based on mutual respect, trust and individual needs. For more information please call 07 4659 8500.